Gaurav Gulati is a partner at Accuracy. He specialises in entire life cycle of Mergers & Acquisitions, Private Equity investments and related transaction advisory services. 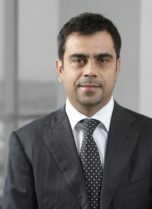 Gaurav has more than 15 years of experience in transaction advisory services. He started his career in 1998 with Ernst & Young in the Middle East. He later moved to Canada to work with Allianz Insurance and gained significant M&A experience in the North American market. During his stint overseas, he worked on various engagements in the transaction advisory practice, covering diverse sectors. His past assignments include advising companies on Assurance services, M&A, Fundraising and Feasibility studies. Before joining Accuracy, Gaurav was with BMR Advisors, as one of the founding team members in Transaction Advisory Services. During his ten year stint in BMR he successfully led their M&A practice to be one of the leaders in the mid-market segment. Gaurav speaks English and Hindi. Gaurav has led numerous transaction advisory assignments in diverse industries such as Pharmaceuticals, IT/ITES, Automotive, Travel and Hospitality, Education, media, etc. Gaurav has extensive experience of undertaking transaction advisory assignments including: preparation of business plans, commercial diligence, in depth evaluation of target, valuation in context of transactions and negotiations of shareholder agreements. Claim quantum in the context of a dispute between a leading Italian construction company and an Indian Oil company.